Fine French Knives: from pocket to table to kitchen – our selection of imported French knives are beautiful both to have, hold and use. Choose Your Cheese: available in ready to serve portions, we stock leading local producers Tarago, Prom Country, Berrys Creek and Maffra, and a couple of imported French brands. Add some crackers, a bottle of wine, grab one of our hampers and voila – instant picnic! Glassware: Mum’s glass cabinet looking a little light-on after last Christmas? Give the gift that keeps on sharing with a decanter or some stemware. Bottoms up. Cellaring (or drinking): With wine that reflects the granite filled region where we live, why not enjoy and cellar a piece of history with a case of our First Vintage Reserve Pinot Noir – a memorable gift for a wine lover. Or pick up a case of our Sparkling Blanc des Blancs to see you through the season. Six pack or more can be sent on your behalf, with free shipping for Christmas* (conditions apply). Wine/Dine experience: Our very attractive gift vouchers are a popular gift for ‘the one who has everything’ – give the wine gift they can choose, or plan a long post Christmas Restaurant lunch and soothe those jangled nerves at your leisure. We can send these on your behalf or you can collect at the Cellar Door. 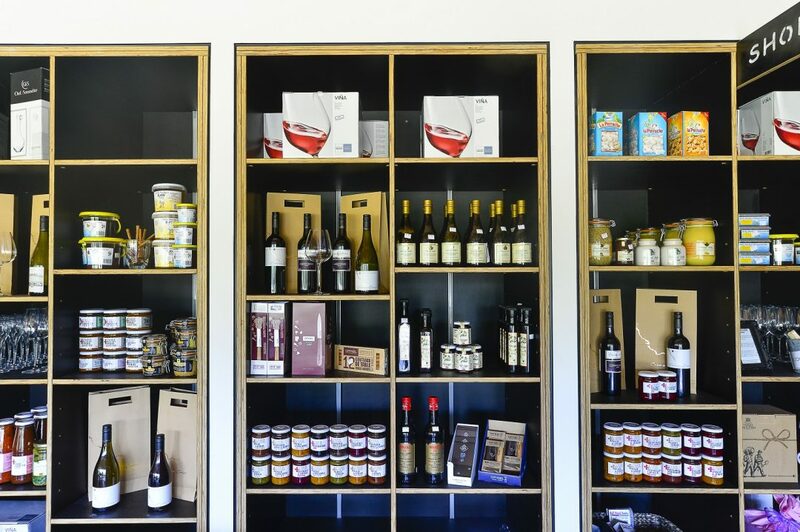 Our Cellar Door is open 7 days, 11 to 5, with a la carte available for lunch. We look forward to seeing you at Cannibal Creek Vineyard soon!